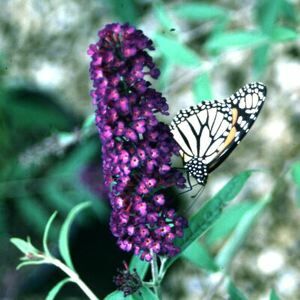 Butterfly bushes are carefree deciduous shrubs that are reliably fragrant and easy to grow. 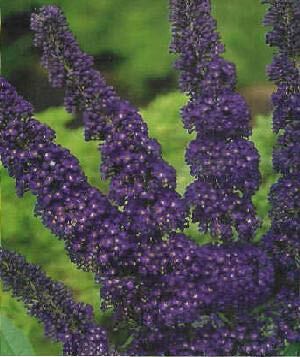 'Black Knight' has deep purple-blue, almost black, fragrant flowers in elongated clusters on arching branches. 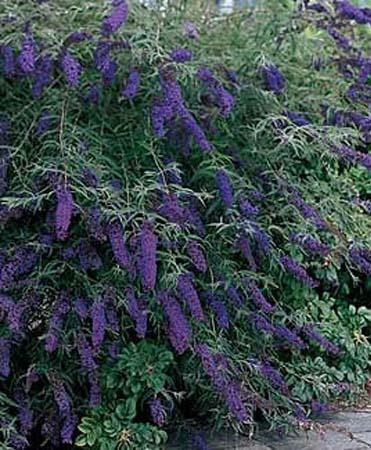 The butterfly bush can grow up to 10 feet tall if not cut back. The blooms come from early summer to first frost. The foliage is willow-like and grayish green.